they don’t know whether it is simply a matter of signing some papers and letting the attorneys do their job, or whether there will be a full-blown court proceedings of the type that they’ve seen on television or in the movies. They worry about how their deteriorating health may play into the process, and what happens if they die or are unable to appear in court or at a deposition if they are too ill. Others are eager to file a lawsuit against those responsible for their devastating illness; they can’t wait to have their day in court and have their say. Whichever type of concerns or desires you have about filing a mesothelioma lawsuit, having an experienced, compassionate mesothelioma attorney representing you will make certain that things are carried out in the way that you want them. Your attorney is not only your legal guide but is also there to work in whatever way you prefer. The attorneys at Danziger & De Llano understand that each person deals with the process differently, and they respect the wishes of their clients. This is the phase that will begin almost immediately upon choosing your attorney and making the decision to go forward with filing a lawsuit. Your mesothelioma law firm and its staff will gather as much information from you as possible about where you have lived, worked and spent your time throughout your life in order to determine where the exposure or exposures to asbestos took place. They will also collect your medical information so that they can present the extent of your illness within their filing. This is essentially an administrative step, in which your mesothelioma attorney will take the initial information that he’s collected from you and file a complaint against those responsible. In response to the filing, a court date will be scheduled. At this stage your attorney will take all of the information that he’s collected and dig deeper into your case, collecting evidence, speaking to expert witnesses, and preparing to go to trial. Often the information that your attorney collects will be discussed with the attorneys for the defendant companies to see whether they want to offer a settlement before the case actually goes to trial. When a settlement is not offered, or if one is offered but is not agreed to by the plaintiff, then the case ends up going to trial. Some cases are simply heard in front of a presiding judge, while others are held in front of a judge and a jury. 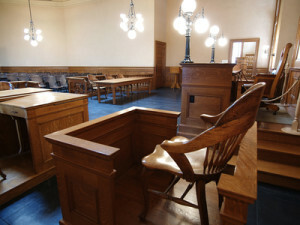 When a case goes to trial the judge or jury not only determines whether the defendant(s) are guilty or innocent of the charges, they also determine what the financial award will be. This can be split into economic damages, noneconomic damages and punitive damages. Economic damages reimburse the plaintiff for actual costs that can be determined through receipts and bills. Noneconomic damages are money awarded for pain and suffering or other things that are not tangible and difficult to put a value on. Punitive damages are meant to punish the defendant for their wrongdoing, and to serve as a warning to other companies not to do the same thing in the future. There are a number of variables that come into play in the course of a mesothelioma lawsuit, and many of them are unpredictable, including whether or not you will be required to testify, whether the case will actually go to court at all, or whether it will be settled very quickly out of court. The most important thing that you can do to put yourself in the best possible position and ensure that you have the most options available to you is to file your lawsuit as quickly as possible. Waiting not only puts you at risk of exceeding the deadline to file a mesothelioma lawsuit, but also increases the chance that your illness will have progressed to a critical point.